Nestled on over two pristine acres in the Warren T. Jackson Elementary School district, this gorgeous home has been thoughtfully updated with a sophisticated interior renovation by Southern Ridge Designs and an exterior pool and landscape design by Graham Pittman, taking full advantage of the spectacular skyline views. It is the perfect mix of the character of an older home with current updates resulting in a subtle blend of comfortable sophistication. 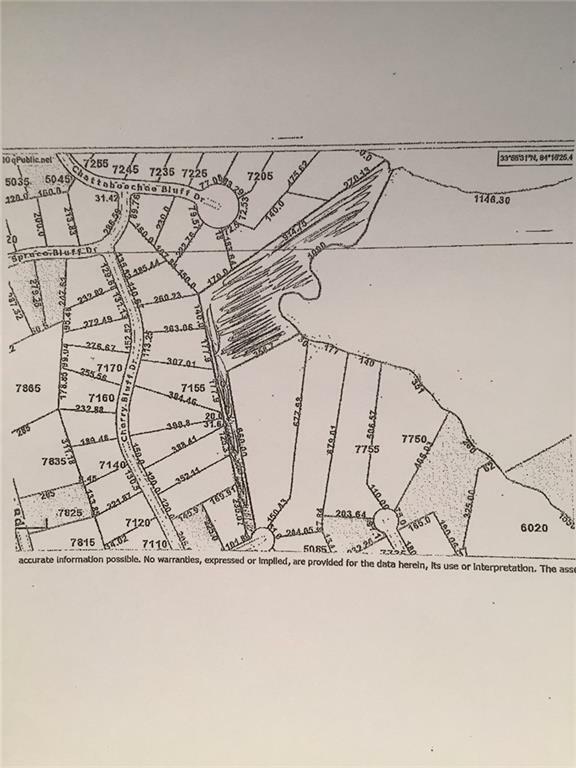 This roughly six acre lot has approximately 1,500 square feet of river frontage and is one of the largest undeveloped lots in Sandy Springs. It is zoned for one buildable lot and is ideal for someone who craves privacy and natural beauty. This is a rare opportunity in the sold out Cobblestone Manor. It is the extremely desirable Winslow model with ultra upgrades. 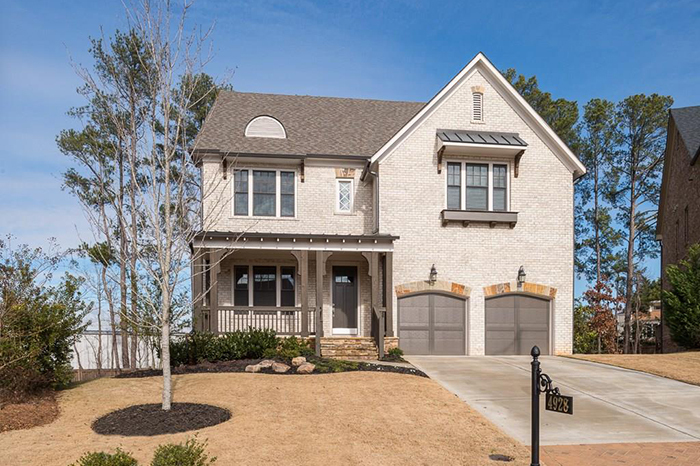 The craftsman, four-sided brick home has a gourmet kitchen with Jenn-Air appliances, quartz counters, huge island, with in-pantry, designer tile, custom cabinets and hardwoods throughout. 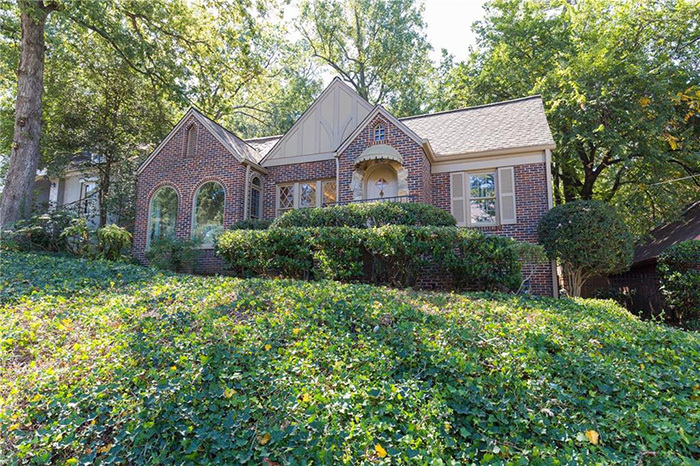 A very special home in Atlanta's favorite neighborhood, Peachtree Heights East, home to the famous “Duck Pond.” It has spacious rooms with hardwood floors and high ceilings. The kitchen is a gourmet cook's dream opening into a sunny keeping room. The master bedroom suite includes a luxurious bath, walk-in closet and opens to a private deck. 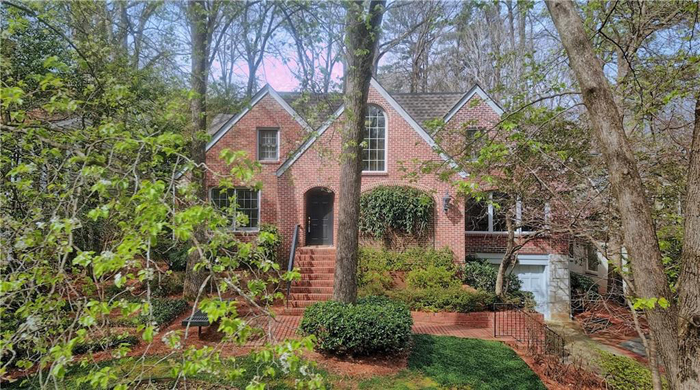 Built in 2006, this spacious home offers quintessential modern Peachtree Hills living close to all the local amenities. It features an open floor plan including the kitchen and den with stainless steel appliances and exquisite walnut countertops. There is a huge finished basement with large playroom, full bed/bath plus multi-purpose room. This charming home overlooks Noble Park and offers an abundance of living space: living room, library/office, den open to kitchen plus media room in finished basement. The kitchen has custom cabinetry, soapstone countertops, new stainless appliances and a breakfast room with dining space. The master bedroom is expansive and there is a large secondary bedroom upstairs. 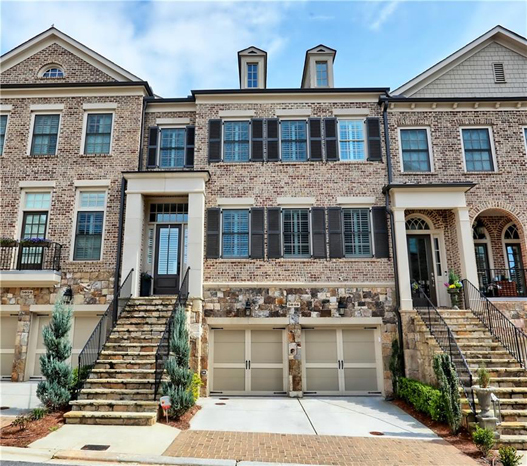 This is a great opportunity to own the elegant Nottingham model home in the sold out Cobblestone Manor. 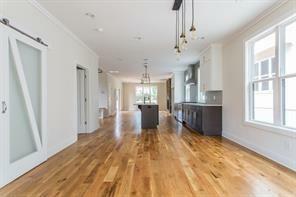 It is an exquisite open floor plan with high-end finishes including plantation shutters, hardwood floors, a light-filled main level foyer, dining area, chef's kitchen with stainless steel appliances, huge Cambria quartz island, custom cabinets, pantry and wine refrigerator, fireside family room and oversized balcony. 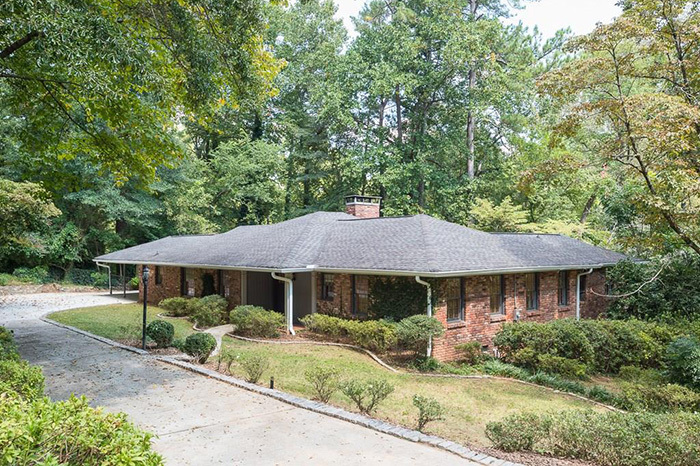 This mid-century modern features an open floor plan with the utmost privacy tucked away on a quiet street in Druid Hills. 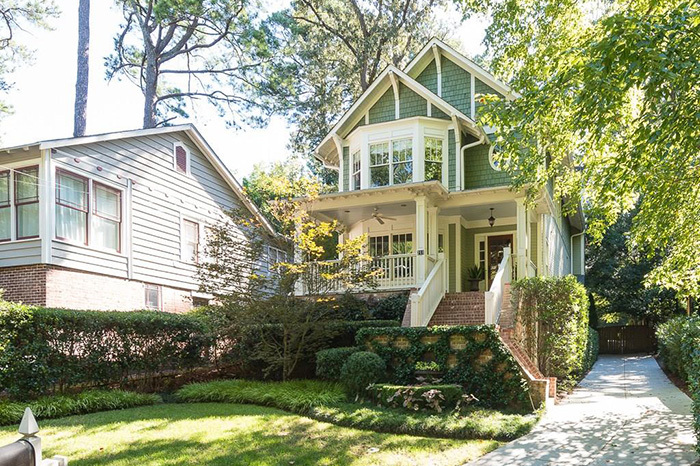 The renovated home features generous square footage plus a rare master on main. The main level also includes a family room open to the kitchen, a separate living room, dining room, and two additional bedrooms, a hall bath and an office/nursery. 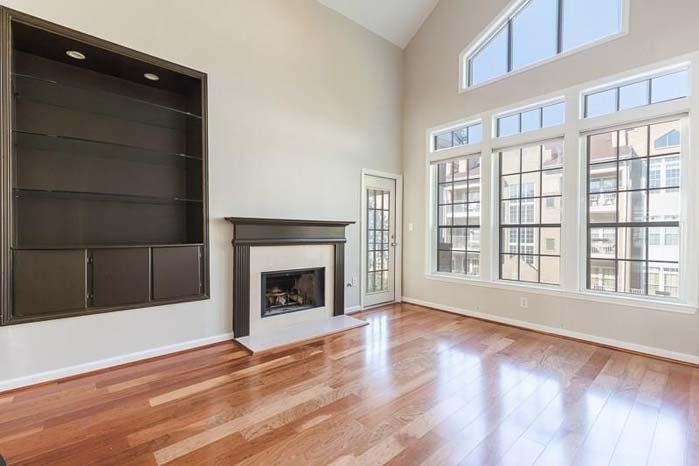 This fabulous end-unit townhome is conveniently located inside the perimeter. It has brand new paint throughout the entire home, hardwood floors, a wet bar and a formal living/dining room. The kitchen has a breakfast area, stainless appliances and granite countertops and opens to the large fireside keeping room. 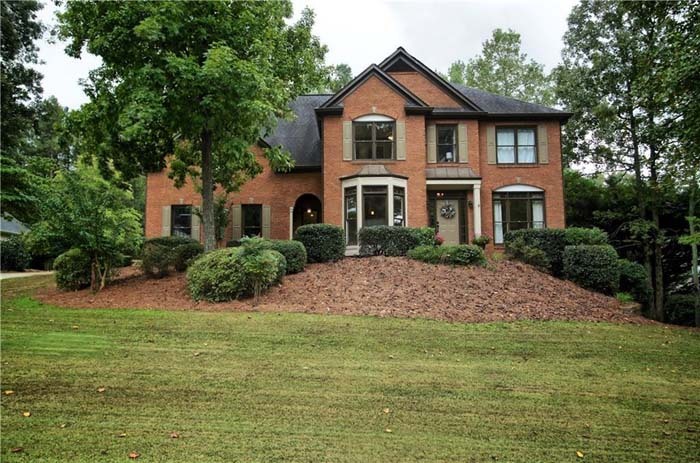 This meticulously maintained home has gorgeous lake views, a full finished terrace level and a two-story foyer. It features a modern den, a formal dining room with chair molding and a kitchen with an island and views of the lake. The spacious master suite has a double trey ceiling and a sitting room. 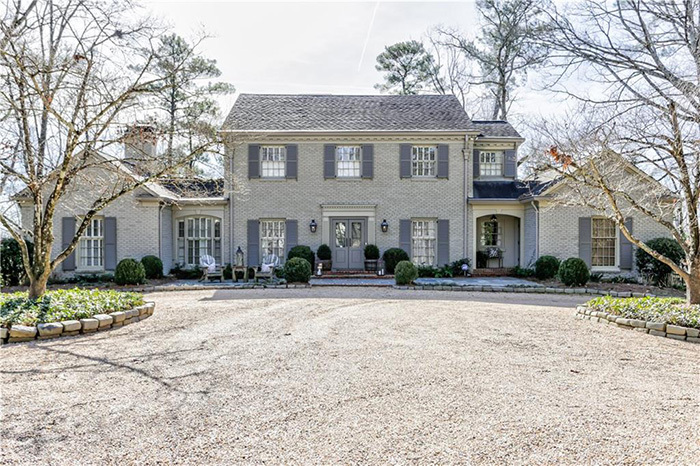 This beautiful home in Hampton Place has darker stained hardwoods on main, a renovated kitchen with tiled back splash and is light and bright. 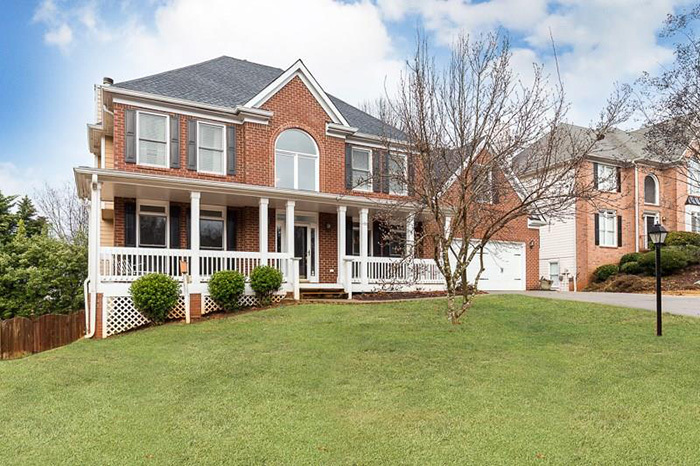 It has four bedrooms upstairs with three full baths. The master bath is huge and has separate his/her vanities. The basement has a full bathroom and is ready for entertaining/play/movie nights/working out. This is a great renovated home on cul-de-sac with an open floorplan. It has hardwoods in all bedrooms, a newer HVAC system and appliances, granite countertops and all new light fixtures. It is in a family-friendly, swim-tennis neighborhood less than a half mile from the new elementary and middle school. 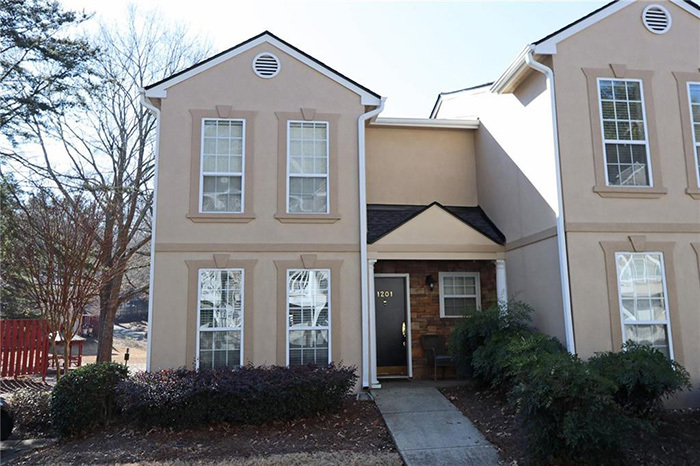 This two-bedroom, two-bath unit is completely move-in ready with upgrades including fresh carpet and paint, hardwoods in the main living area and a custom closet system in master bedroom. There are brand new granite counters in kitchen and a luxurious master bathroom with a frameless glass shower door and separate soaking tub. It is minutes from Ponce City Market, the BeltLine, Old Fourth War Park and Freedom Park. 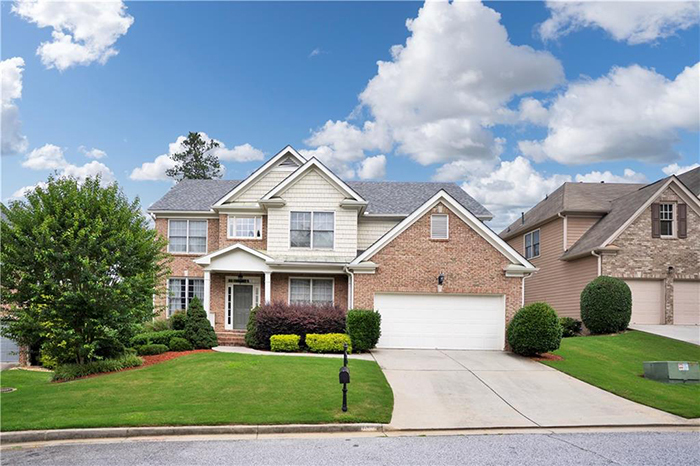 This adorable end-unit two-bedroom, two-and-a-half bath townhome is move-in ready and conveniently located close to Georgia 400. Recent updates include a freshly painted interior and new engineered hardwoods on the main floor as well as new carpet upstairs. The kitchen features granite countertops and white cabinets. This charming traditional Tudor is on quiet street in Morningside. It has been fully renovated and has brand new appliances including a wine fridge. It has fresh paint and updated bathrooms. It has an open and bright floor plan with a great private backyard and a separate guest house with its own separate kitchen. This charming renovated home has an open floor plan on a wonderful street in the Sarah Smith Elementary School district. The spacious kitchen features a coffered ceiling, stainless appliances, a large island and a breakfast room with a view to the large family room with a fireplace. 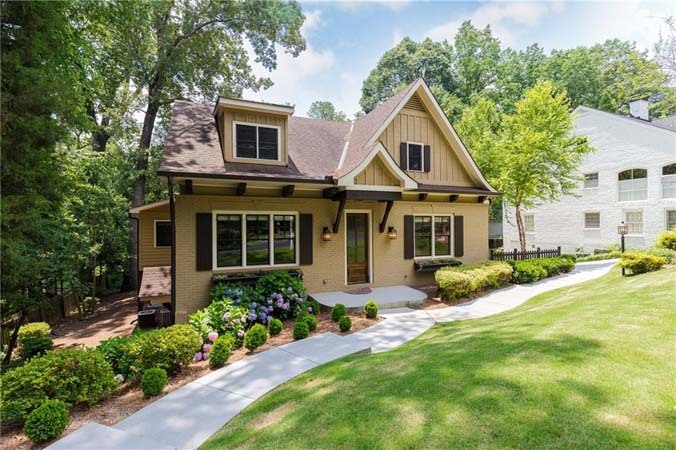 The oversized master suite with a fireplace opens to a private covered porch and has a renovated bathroom with double vanities, separate whirlpool tub, frameless shower and a custom closet. 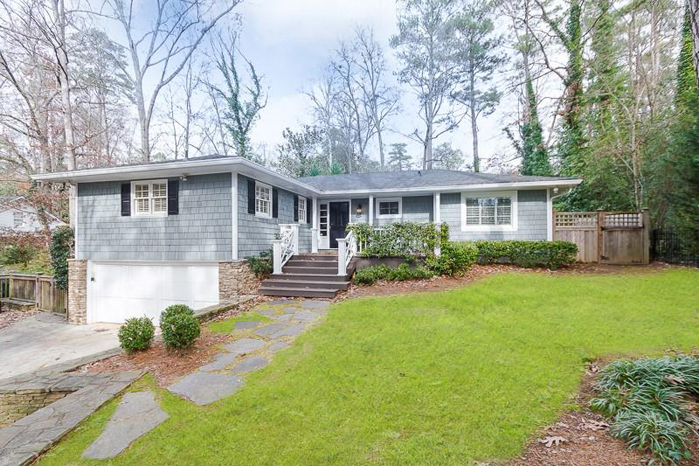 This creative urban contemporary farm house in Reynoldstown is just a three minute walk to the Atlanta BeltLine and a one minute walk to the future mixed-use Madison Yards. The kitchen has quartz counters, a marble island and Samsung appliances. 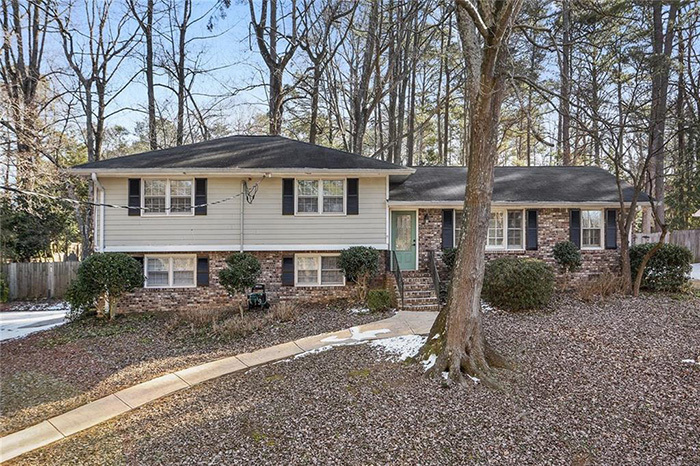 It is an open floorplan and has an upper deck with views of the Atlanta skyline. 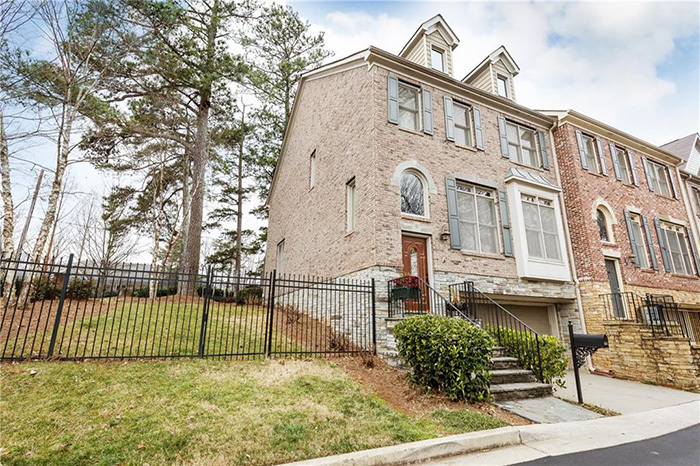 This condo is within walking distance to Publix, Target and the hottest Buckhead restaurants. It is across the street from Lenox Square, Phipps Plaza and minutes from the shops of Buckhead Atlanta. The kitchen has granite counter tops and travertine marble floors. The unit features beautiful Buckhead views from the floor to ceiling windows.